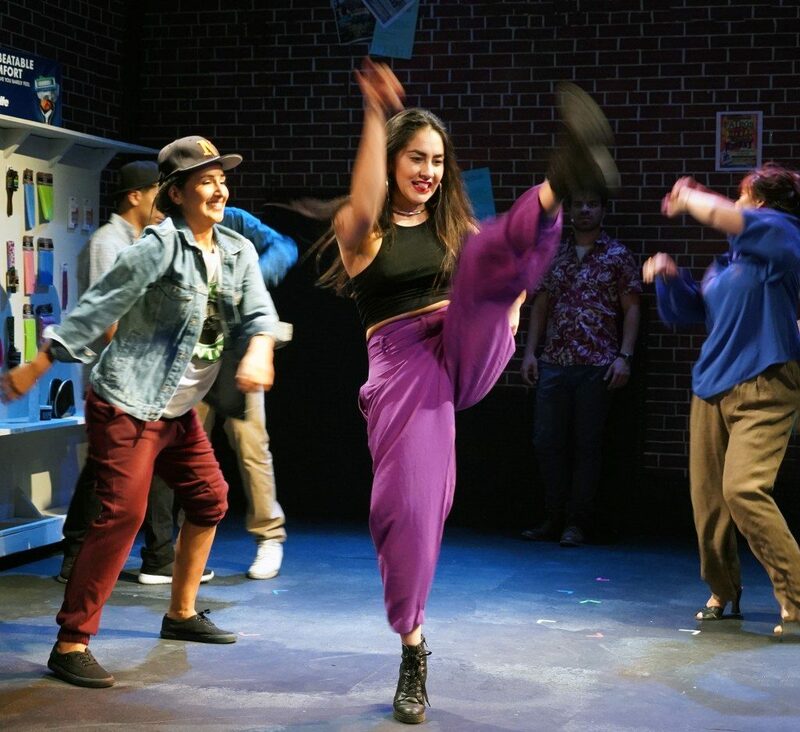 “In the Heights” Elevates Immigrant Spirit, at Custom Made, S.F. But the message of this play echoes throughout the Bay Area and world. Home is not necessarily where you’re from, and it may not be the idyllic landscape you’ve been trying to reach your whole life. Home is the people who raised you. It takes a village. The home of this production is curiously small, considering the emotionally expansive nature of the play. The space seats a mere 99 people, leaving the cast with not so much room for the choreography we crave with these jam-worthy songs. Instead, the 12-person cast breaks out into house-party style dance moves, bobbing at the same height and time, vibing and riffing off one another. The small space gives us the sense of tight New York quarters, which we San Franciscans relate to with skyrocketing rents slapped onto tiny rooms. As the cultural tides drastically shift, people are pushed out by perilous prices and the techie invasion. Whole communities are displaced. 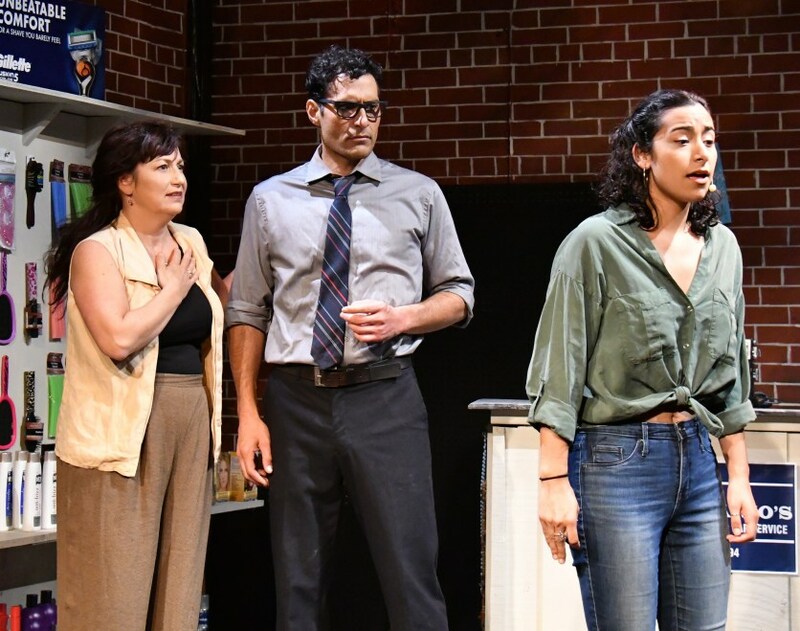 Puerto Rican bodega man Usnavi (sensitive Julio Chavez) raps, “In five years, when this whole city’s rich folk and hipsters, / Who’s gonna miss this raggedy little business?” His verse elicits an empathetic “Mm…” from the audience. 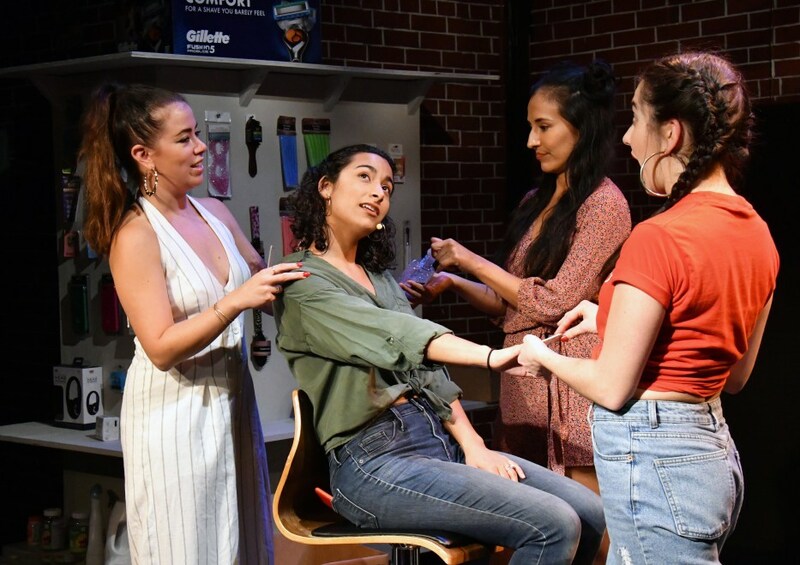 Though “the Heights” takes place in Manhattan’s mostly Latinx Washington Heights, Custom Made’s production gives a nod to San Francisco. The mention of extreme summer heat, calor, sends a quiet shiver across the audience as apocalyptic fires wreak havoc across our state, clouding our air with smoke. One of those ubiquitous “Shen Yun” posters is plastered on the brick wall center stage, an iconic and obnoxious San Francisco staple. As Usnavi, Chavez is handsome and vulnerable, with the audience sniffling along with him in several key moments. But the real power is generated by the women. Usnavi dotes on ambitious Vanessa (electric Nora Fernandez Doane) who showcases killer vocals and versatility. Vanessa’s boldness on the dance floor pairs neatly with her burning desire to move out of the barrio and onto bigger things. Her boss and close friend Daniela is played with authenticity by total powerhouse Mia Romero. Carla Gallardo plays Stanford-struggling Nina with perfect sincerity. Nina’s tender scenes with forbidden sweetheart Benny (charming Dedrick Weathersby) evoke understanding tuts. As we watch the neighborhood struggle, triumph, and grow, we are reminded of an important truth in American culture. The working class, the tight-knit communities of families hustling and grinding after “the American dream,” are the height of our society. In these pockets we find the authentic and vibrant energy that moves us. Cast: Julio Chavez, Nora Fernandez Doane, Carla Gallardo, Dedrick Weathersby, Bidalia Albanese, Sergio Lobito, Elena Ester, Edwin Jacobs, Michelle Navarrete, Jepoy Ramos, Mia Romero, and Ernie Tovar.